Much less well known that it's cousin to the North, Cognac, Armagnac is a wonderfully full flavored French Brandy that is rightfully growing in popularity. From France's Gascony region Armagnac is a French Brady distilled primarily from the Ugni Blanc Grape variety. While Cognac goes through a double distillation process, Armagnac is distilled only once, leaving it with a more robust and full-bodied flavor profile. 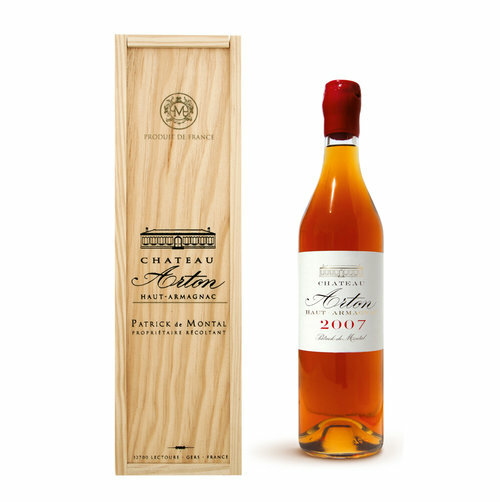 These two Armagnac from Chateau Arton should not be missed. 2006 was rated 97/100 by Vinous and the 2007 is a worthy follow up to the fantastic 2006. This luminous and limpid, amber coloured eau de vie exudes wonderful aromas of prunes and vanilla. Notes of dried camomile, pear and spices dominate in the mouth with a slight hint of menthol to add a pleasantly refreshing touch to the ensemble. Leaping Horse - great California Values!